Todd McCarthy is the chief film critic for the Hollywood Reporter and for many years held the same position at Variety. His books include the biography Howard Hawks: The Grey Fox of Hollywood, and he is an award-winning writer and director of documentaries, including Visions of Light: The Art of Cinematography and Man of Cinema: Pierre Rissient. 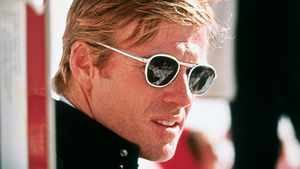 McCarthy once skied with Robert Redford, following far behind in his tracks.